Robinhood is just like other stock brokers such as E*Trade, Fidelity, TD Ameritrade, and Charles Schwab, except they offer free stock trades! When first announced, the strategy to attract new & young customers was with native mobile app (Android and iOS) first approach to stock trading. I've outlined the questions I asked before signing up for Robinhood and other details I learned while using Robinhood. Signup with my referral link and receive a free stock! Is Robinhood Really Free.. How? Unlike established stock brokers who charge between $4 to $20 per trade, Robinhood trades are free! This means individuals with smaller accounts and trades (i.e. less than $10,000 per trade) won't suffer large commissions that take a larger percentage of the profits with smaller trades. That's good for the small guy? But Robinhood, like any company, needs to make money? How do they do it? Unlike the established stock brokers, Robinhood doesn't execute the trade, but instead out-sources it to firms like Citadel, Two Sigma and Wolverine Securities, some of whom are high-frequency trading companies. Read more at Robinhood Gets Almost Half Its Revenue in Controversial Bargain With High-Speed Traders. Are There Downsides to No-Fee Trading? In-App Charting and Research not up-to-par. If there are no fees with Robinhood, so it makes sense to day trade stocks? It is allowed, but you still need be aware of Day Trading Stock Rules and maintain and balance of $25,000 if you have three executed day trades in a five trading day window. By default, Robinhood enables checks to try to prevent your account from being flagged as a Day Trading Account. Make too many day trades (open position, then close position in the same day), then your account may be temporarily frozen for 90 days to new trades. Is Robinhood Crypto Trading Free? Cryptocurrencies were introducted. You can trade as often as you like each day without needing to maintain an account balance of$ 25,000 For some reason, cryptocurrency trading is not allowed in every state of the US. But for states that have this enabled, only certain currencies are tradeable, again with no-fees. 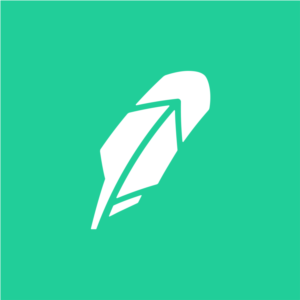 Unlike Coinbase that charges a percentage "transaction" fee, Robinhood will be free! Follow up at Robinhood Help for up-to-date news on crypto and US states support. As an app, it looks very impressive from a first view, but there are certainly aspects of app that I dislike. Note that over time, it is possible that some of these features get updated. The main table of stocks only shows either price change as dollars or price change as percentage. What I would like to see is both. The stock price historic chart is fairly basic compared to many of the newer styles of advanced chart available on other platforms. This leads me to believe Robinhood is targeting VERY beginner stock traders. Putting trades in (either buys or sells) take a lot of touches, especially with limit orders. Every time I put an order in, the apps forces me to swipe multiple directions. On the upside, this does make trading more "exciting" for beginners!